Sony may have been first to launch a full-frame mirrorless camera, but Nikon brought decades of camera design experience with it when it entered the mirrorless market in 2018. 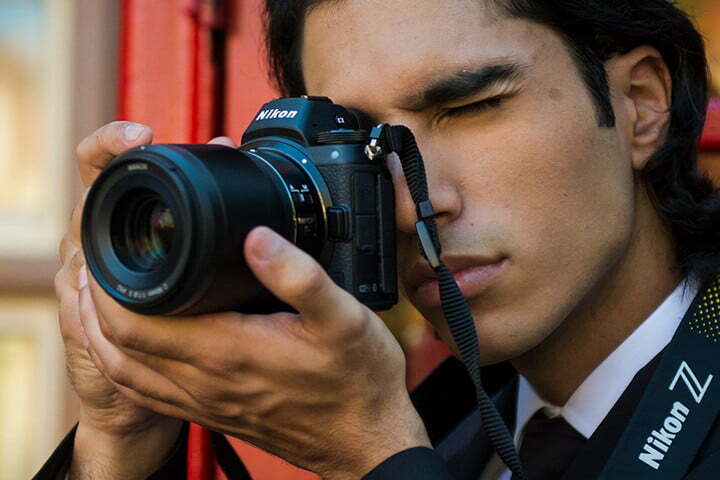 The Sony A7R III and Nikon Z 7 are both high-end, high-resolution models that have much in common. 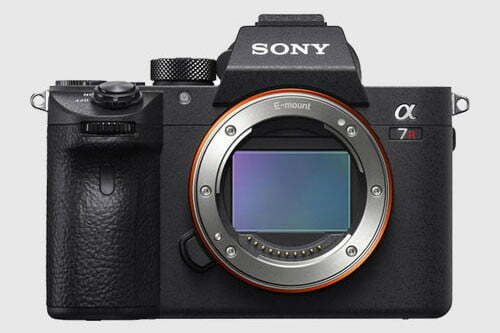 With a near-identical megapixel count and close performance numbers, does Sony’s third-generation A7R have an edge over Nikon’s first-generation Z 7 in other areas, or has Nikon pulled off an underdog victory? The two cameras are among the closest matches from competing mirrorless brands on the market, promising a similar image quality, fast burst speeds, internal stabilization systems, and fairly similar prices. Like investing into any camera system, the answer as to which one is best depends on what you shoot and what you already have in your camera bag. Here’s how these two cameras compare, both on the spec sheet and in the hand. Shutter Speed 1/8,000 to 30 sec. 1/8,000 to 30 sec. Weight 23.2 oz. 20.7 oz. The difference in the megapixel tallies between the Sony A7R III and Nikon Z 7 is minimal, with the Sony at 42.2 and the Nikon at 45.7. Both sensors are also backside illuminated, which improves light sensitivity. While the Nikon has more resolution on paper, the real-world difference will be negligible and depend more on the lens you pair with the camera. Even DxOMark, the company known for sensor lab tests, scored these two cameras just a point apart, with nearly equal color depth and dynamic range and the Sony only coming out slightly ahead for high ISO sensitivity (likely in part thanks to its lower resolution). In use, even experienced photographers would be hard-pressed to tell which photo came from which camera without digging into the metadata. Both cameras offer a solid amount of detail and, considering their high pixel counts, impressively low noise levels in low light. When it comes to image quality, these two full-frame mirrorless cameras are virtually neck-and-neck — and both are very good. You can’t go wrong with either. A quick glance at the tech specs puts the A7R III and Z 7 on a similar page with speed — but that’s with only a quick look. The Nikon Z 7 can shoot a solid 9 frames per second with continuous autofocus, but that’s without full access to the electronic viewfinder or auto exposure adjustments between frames. The Z 7 also has a good, but not great, image buffer size of about 23 RAW shots at that top speed. At first, the A7R III doesn’t look much different, advertising a burst rate just 1 fps higher than the Z 7 — but it also comes with less fine print. The camera doesn’t have the no-blackout viewfinder of the powerful Sony A9, but it still allows for autoexposure adjustments and live view at that speeds. The buffer on the Sony will also allow for longer bursts, rated at 76 compressed 12-bit RAW shots or 28 shots when shooting uncompressed RAW. Early mirrorless cameras lagged significantly behind DSLRs when it came to autofocus performance. Most have caught up, but that reputation means photographers hold autofocus performance as a primary concern when eyeing a mirrorless camera. And for the most part, the Sony A7R III and Nikon Z 7 leave little room for worry. 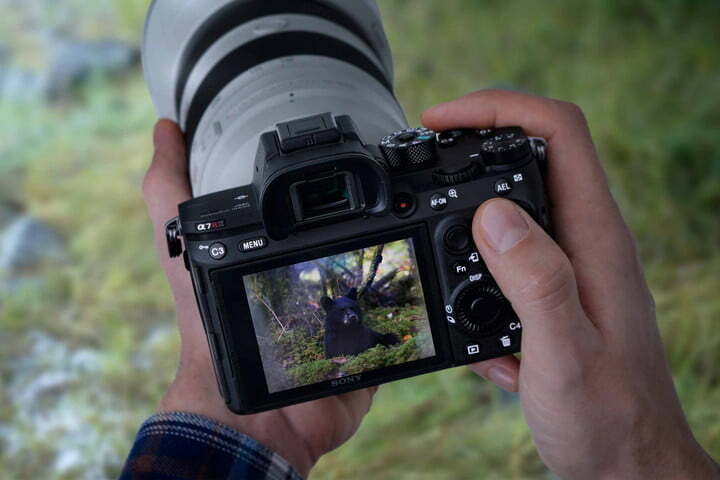 The A7R III has three generations of innovation and refinement under its belt, and Sony continues to improve its AF systems through firmware updates. The A7R III has an excellent eye-tracking mode for photographing people (and even animals) that no other company can quite match. The camera’s autofocus performed well in real-world tests, including both tracking moving subjects and shooting in limited lighting. The Nikon Z 7 may be a first generation product, but the Z 7’s autofocus is no slouch. 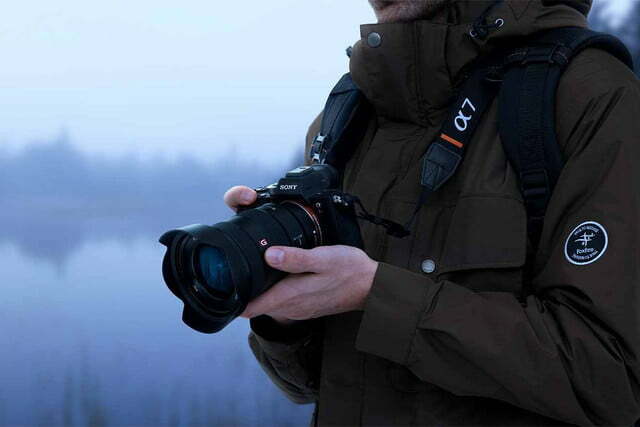 The Z 7 locks on the subject quickly in most lighting conditions and even handled action and continuous shooting well. The Z 7 will soon gain an eye AF mode as part of an upcoming firmware update, but we haven’t had a chance to test it yet. The Z 7 autofocus isn’t perfect, though, and is noticeably slower when shooting in limited lighting. The 3D tracking mode — long a staple of Nikon’s DSLRs — also felt a bit limited here. 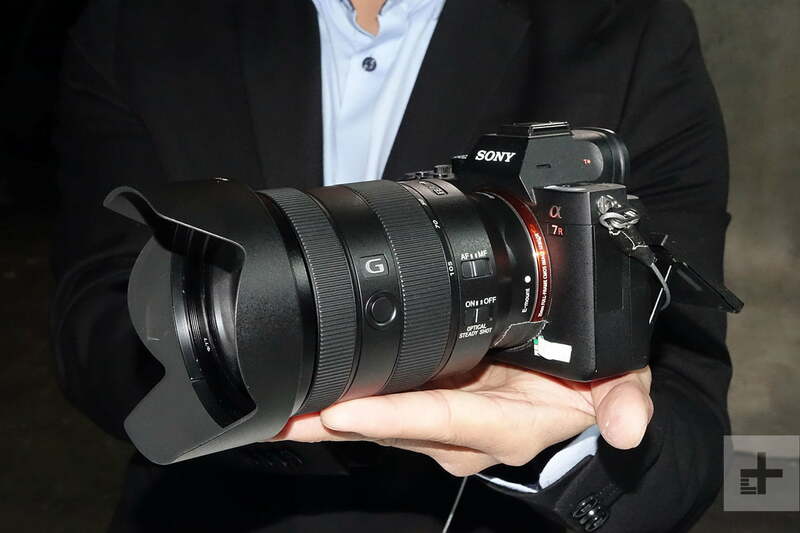 As high-end hybrid cameras, both the Sony A7R III and Nikon Z 7 can shoot 4K at 24 or 30 fps, and can shoot higher frame rates at 1080p for slow-motion playback. Both can also shoot in either full-frame or Super 35 crop modes modes, and each takes advantage of oversampling in the latter for even sharper results. If you’re recording internally, the Sony will have a potential edge in quality as you can shoot in Sony’s S-Log3 color profile to preserve more dynamic range. This is a decidedly “pro” feature that not everyone will want to use, as it requires the footage to be color graded just to look normal, but serious videographers and filmmakers will appreciate it. Nikon also offers a logarithmic profile on the Z 7 (called N-Log), but it is only available while recording over HDMI to an external recorder. However, the Z 7 can also output 10-bit 4:2:2 color over HDMI, which provides much more information than Sony’s limited 8-bit output. What’s more, a coming firmware update will allow full RAW video output from the Z 7, which can be saved in the new ProRes RAW format on compatible recorders. So while the Sony has an edge without considering third-party accessories, a Nikon Z 7 outfitted with the likes of an Atomos Ninja V recorder will be able to produce results that rival professional cinema cameras. 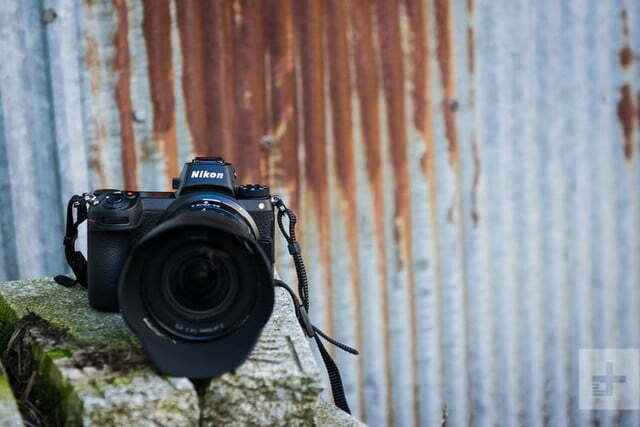 Nikon took its experience building DSLRs and incorporated some of the same design language into the Z 7, including the large but comfortable grip. The control scheme feels solid, and there’s a secondary LCD screen at the top that displays camera settings, a feature that the A7R III doesn’t have. Even with that secondary display, the Z 7 somehow fits even more controls on the top plate, and also puts two function buttons on the front — an area of the camera the A7R III leaves inexplicably naked. The weather-sealing on the Z 7 is also excellent, as an independent tear-down revealed. Overall, the Nikon takes a smarter approach to its use of physical space, but much still comes down to personal preference. Do you prefer using two memory cards, or a single, but much faster, one? 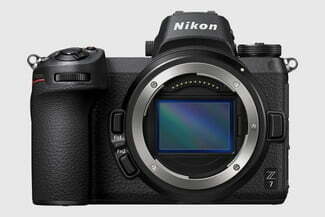 Do you like the smaller build of the Sony, or the larger but more ergonomic setup of the Nikon? Do you like having all the primary controls easily accessible by one hand, or do you prefer having more controls in total? With an electronic viewfinder instead of an optical one, mirrorless cameras are notoriously hard on batteries. The Nikon Z 7’s CIPA battery rating of just 330 exposures per charge is not great, and similar to Sony’s second generation cameras. The Sony A7R III, however, brought a dramatic improvement in battery capacity, and boasts a rating of 530 shots. In real-world shooting, both cameras shot well beyond those technical ratings, as is often the case, but the Sony is still going to outlast the Nikon. The Sony A7R III and Nikon Z 7 are two of the top high-resolution mirrorless cameras on the market — going with either one isn’t a bad decision. But, there are a few important areas where the two models differ. Image quality will be similar between them, but Sony managed to pack in more speed and a better autofocus system. 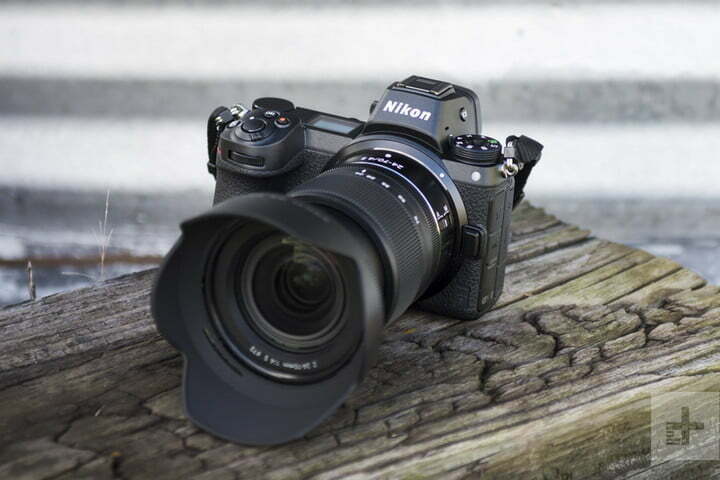 The Z 7, meanwhile, has a design that makes previous Nikon DSLR shooters feel right at home and, somewhat surprisingly, more potential as a high-end video camera. While the list price for the two cameras is similar, the Sony has been on the market since 2017, which makes it easier to find with a discount — at the time of writing, the A7R III body is selling for just under $2,800. As the more mature system, Sony also has many more native lenses available, but Nikon DSLR owners can adapt their existing lenses to to the Z 7 without sacrificing performance.